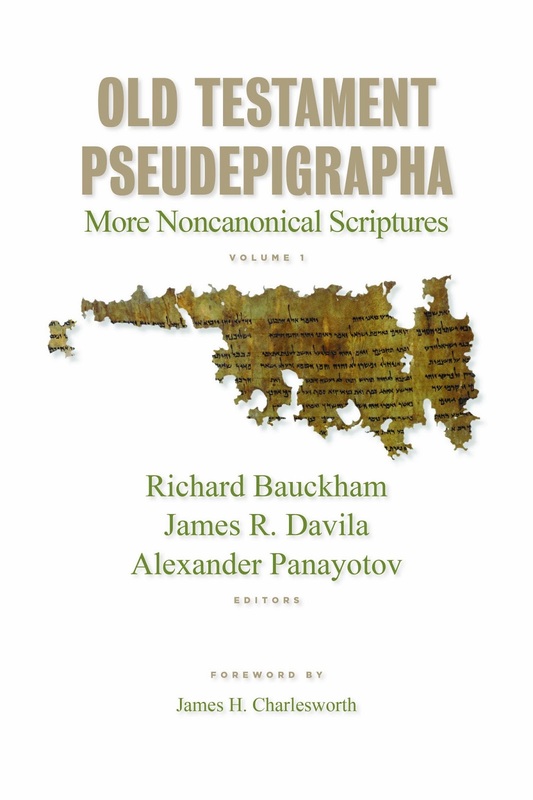 "contains new translations of nearly fifty complete or fragmentary texts, most of which have not been published in any of the earlier pseudepigrapha collections and some of which have never before been translated into English. They are translated by experts from many languages, including Aramaic, Armenian, Coptic, Greek, Hebrew, Latin, Old Church Slavonic, and Syriac. The reader of this volume will learn that other nonstandard ancient scriptures are quoted in the Bible. For example, the New Testament letter of James 4:5 may quote a Book of Eldad and Medad (cf. Numbers 11:26–29). Moreover, the Old Testament itself quotes many lost books, including the Book of the Wars of the Lord, the Book of Jashar, and the Book of the Acts of Solomon." Sounds interesting. I would love to pick up this volume.